FBI Director Christopher Wray shown before speaking to reporters during a dedication ceremony for the new Atlanta Field Office building Thursday, Oct. 12, 2017, in Atlanta. In publicizing and politicizing this view, the FBI seeks to convince lawmakers, courts, and technology manufacturers that the only the way to put the country on proper war footing against domestic terrorists is to purposefully compromise consumer security products by installing a “backdoor” into commercially available encryption. This solution is notably predicamental since the world’s foremost cryptographers—experts in the study and practice of secure communications—say what the FBI desires is impossible. Strong encryption and so-called “backdoors,” in other words, are mutually incompatible. Point of fact: If you outlaw strong encryption, only criminals will have it. The United States is not the only country in the world producing its own encryption products, after all, and no authority can reasonably hope to curb its importation. Encryption software is downloaded, covertly if necessary, not offloaded from a cargo freight. A Motherboard investigation, relying heavily on public records requests, has unearthed even more evidence that “backdoors” are unnecessary. State and local police forces across the country today appear to be in possession of technology known as GrayKey, a device, reportedly 4x4-inches in size, used to defeat the encryption on iPhones running the latest versions of iOS. Expert cryptographer Matthew Green, an associate professor at Johns Hopkins Information Security Institute, told the website that GrayKey’s existence and widespread procurement belied the FBI’s doomsday scenario. “It demonstrates that even state and local police do have access to this data in many situations,” he said. Following the San Bernardino shooting in December 2016, the US Department of Justice fought to force Apple in court to unlock an iPhone 5C belonging to one of the terrorists. The proposed solution was a bypass that would allow FBI to bruteforce iPhone passcodes without delay (“please wait 30 seconds and try again”) and without the iPhone deleting user data in response to multiple failed attempts. Motherboard’s public records requests found that various regional police agencies, such as the Maryland and Indiana state police, had procured GrayKey boxes, as has the Miami-Dade County Police. Other internal emails have shown the Secret Service and Drug Enforcement Agency (DEA) expressing interest in obtaining the technology. The State Department has already. There’s been renewed interest in Going Dark since the resignation of former FBI Director James Comey, who was also a strong proponent of the misguided “backdoor” solution. Last month, Christopher Wray, the FBI director appointed by President Trump, said he didn’t “buy the claim that it’s impossible,” referring to the expert opinions of mathematicians that the “backdoors” idea represents magical thinking. 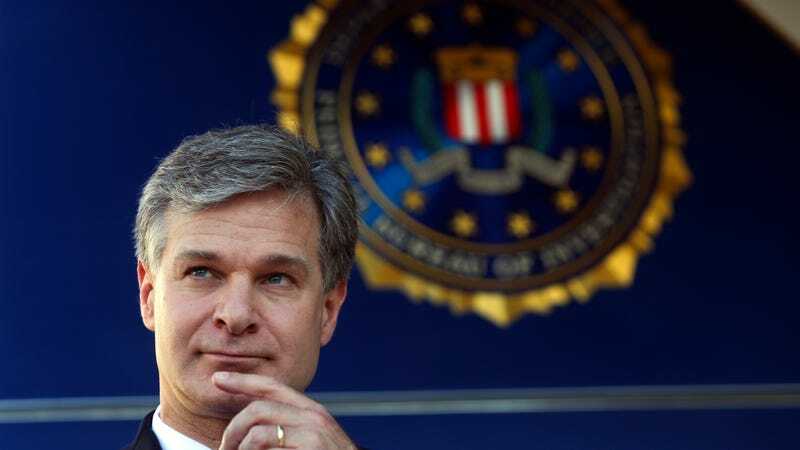 Despite Wray’s statements, the FBI does not actually support strong encryption A few years ago, in fact, the bureau ceased advising the public to use it.